The M11 is a larger addition to the Ritter line of automatic autoclaves with reliability and efficiency as one of its many assets. The M11, like the M9, features a door that opens automatically and quietly, making sterilization a set-it-and-forget-it procedure. Its unique 11" by 18" chamber gives it the distinction of the largest sterilizing capacity of any standard countertop autoclave on the market, making it perfect for larger packs and instruments. The Steam–Flush Pressure Pulse Air Removal System is so efficient that it can pass the air removal tests required on more complex vacuum steam sterilizer systems, thus ensuring good steam penetration for proper sterilization. 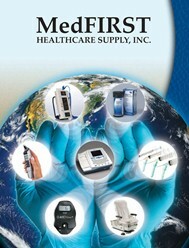 Plus less complexity means better reliability and a cost effective solution for your sterilization needs. An optional printer accessory, available on the M11, provides records of the cycle, cycle time, temperature, and pressure. 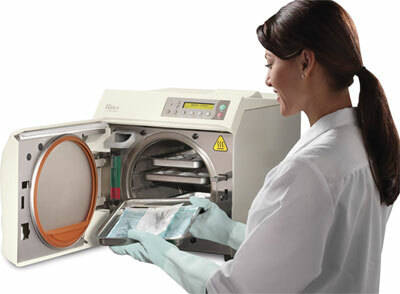 The Ritter M11 autoclave has easy front access for filling and draining and has controls that are easy to understand. You and your staff’s time is precious, so why waste it? Break free from your sterilizer with the reliable and efficient Ritter M11 UltraClave Automatic Sterilizer and spend your time on more important tasks. Make the industry-leading sterilizers your choice for sterilization and have peace of mind.